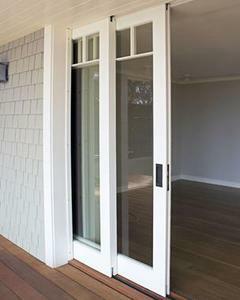 For the ultimate indoor-outdoor lifestyle, Multi-Slide Patio Doors can be completely concealed in the wall when opened. 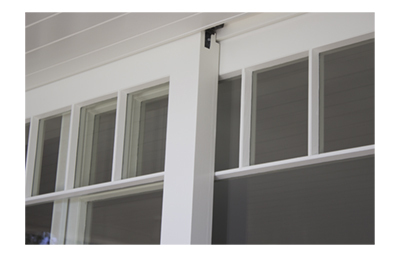 Paired with our flush lock with a pop-out finger pull, Multi-Slide patio doors can be neatly tucked into a pocket on one side of the wall! 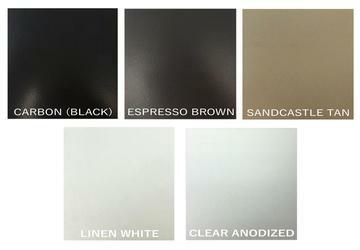 Pocketing Multi-Slide patio doors are also available in Aluminum Clad/Wood with hundreds of custom colors to choose from. Multi-Slide Door Systems are a creative way to open your home to the outdoors. Advanced stainless steel rollers and European multi-point locks enable you to slide even the most massive doors with incredible ease, opening up entire walls with one turn of the handle. 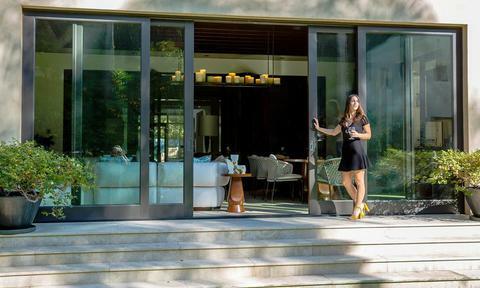 Multi-Slide doors are offered in all-wood or aluminum clad/wood and endless designs. 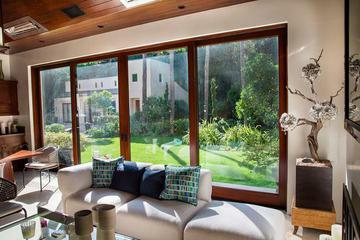 When exposure to sun and rain is an issue, opt for Aluminum Clad/Wood Multi-Slide Patio Doors. We combine a sleek, tough, low maintenance exterior of 1/16" thick extruded aluminum with a rich, warm all wood interior to give you the best of both worlds. Clad exteriors are painted with 70% kynar 500 and meets a 2605. Stunning Multi-Slide doors deserve stunning hardware. 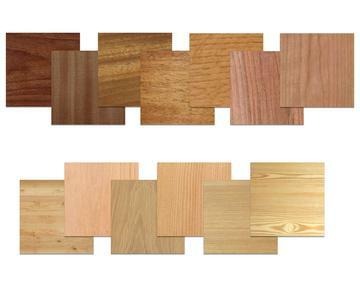 We offer an array of styles and finishes, from traditional to modern, tasteful and refined to complement any decor. Well designed for ease of use with durable craftsmanship for long lasting quality. Download a Multi-Slide Hardware Brochure. 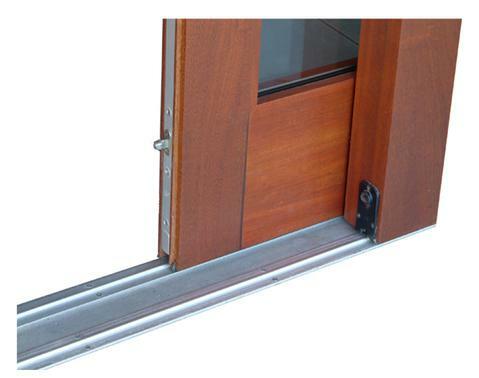 Simplicity rules with the AG Millworks stainless steel recessed track system for Multi-Slide patio doors. Made of premium quality, heavy-gauge stainless steel welded into a customized configuration for your ideal door needs, this sturdy track system lives underground. 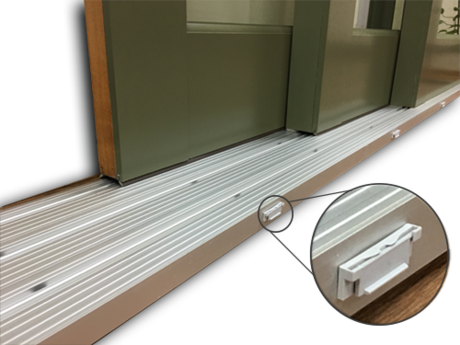 Only 1/4" high stainless steel track is visible above your finished floor when fully installed, so there is no raised sill to step over. 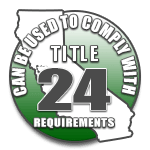 Available on pocketing, non-pocketing, multi-slde or lift and slide door systems. *Recommended for low - or no-exposure envirmonments only. No warrantly for water penentration. Up-charge for the Stainless Steel Recessed Track applys. 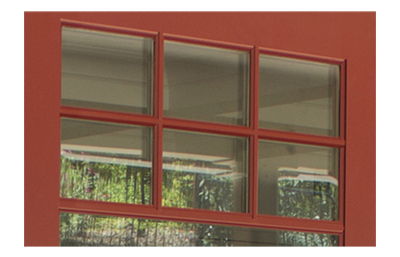 Pair your Multi-Slide Doors with an innovative and functional retractable accordion screen. This is the perfect solution to screening large openings to protect your home from insects and other unwanted elements. With a span up to 32' wide* by 10'6" high, the versatile pleated screen is your answer to deter bugs while preserving the indoor-outdoor feeling!